Facebook is one of the best social media platforms for sharing photos, which makes it a great choice for wedding photographers. Absorbing Facebook business pages tips is key to help you stay top of mind and encourage engagement from your followers. In the past, we’ve discussed the best times to post on Facebook to reach your audience. Today, we are focusing on how to maximize engagement on Facebook. 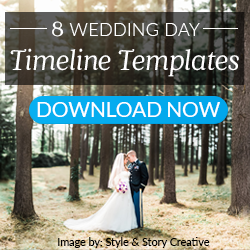 Facebook’s platform makes it a natural fit for using your images to market and grow your wedding photography business. However, over the years, engagement on Facebook for each individual post has dropped. It is important to know and understand the secrets to maximize engagement on Facebook. Keep reading for tips for successful Facebook business page practices. You might be wondering what is post engagement on Facebook and how you can you maximize it. Post engagement on Facebook is when followers interact with your posts. Whether they like, share, comment on, or click your post, this counts as engagement. Your posts can vary from blog posts, to offers, to your portfolio. The more engagement you receive on these posts, the more likely it is that your followers are accessing your website or other areas of your blog. Here are a few tips for how to boost engagement on Facebook. It seems obvious, but it is one of the most important details for how to get more engagement on Facebook: use your images when you are posting. Once you receive your images back from an online photo editing company, like ShootDotEdit, share them on social media to encourage more engagement. 93% of Facebook’s most engaging posts are photo-based posts. When the data was analyzed, it was revealed that posts with photos received 39% more interactions, 53% more likes, 84% more click-throughs, and 104% more comments. Those are Facebook business page tips and tricks you can use when planning out your future posts. This is great news for photographers. A professional has no shortage of beautiful images from previous weddings and portraits, like Green Bay Wedding Photographer, Adam Shea. On his photography Facebook business page, he consistently shares unforgettable wedding images with his audience, which is key to increasing engagement for his posts. For the average viewer scrolling through their Facebook feed, a dynamic professional photo jumps out at them compared to the usual slew of poorly lit, cell phone images. Unlike Instagram, where you can utilize hashtags and geotagging to group your images together, the Facebook algorithm differs slightly. 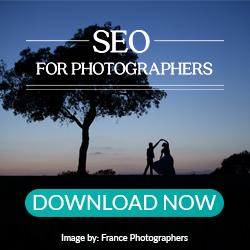 The photos you post need to stand out in your reader’s News Feed. As they scroll and scroll through the updates of friends, the images you post need to grab their attention. Images with emotion are a great baseline to use as you pull images from each wedding you shoot. Emotional images from the wedding are great for building engagement on Facebook. Additionally, there are a few other things to consider as you post. A study by Curulate found that bright photos with blue as the main color garnered the most likes. Images that contained texture and pattern also did well. Also, posting images that are not related to your wedding business, but rather of your family, kids, pets, or daily activities can boost engagement and show a different side of you to your followers. 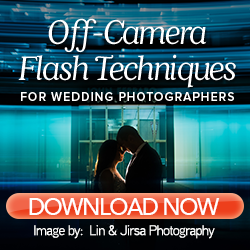 We’ve gathered 3 additional techniques to sharing on social media that you need as a professional wedding photographer. To share these 4 tips, we’ve created an infographic! We cover tagging people, the best times to post, as well as statistics and data for each section. Additionally, take the time to share this infographic with your photography communities! Knowledge is power, and we encourage you to share these tips and tricks with others. After you review the infographic and learn additional Facebook business page tips, discover how to expand your reach and book more clients on multiple social media platforms with our Comprehensive Guide to Social Media for Wedding Photographers! Click the banner below to dive into tips and tricks to promote your wedding photography business with social media! ← Behind-the-Scenes with Scott Robert Lim – Shooting with Mirrorless Cameras: Should You Do It?